I’ve been exploring colors and shapes with my three year old the last few weeks. So it is very fitting that this set of free play dough shape mats has some beautiful, bold colors for us to talk about. While she’s not ready to write, she does love talking about the things that she sees and is starting to repeat some very basic words while we are talking. She doesn’t often recall them later, but when we’re repeating the activity she is quick to mimic. 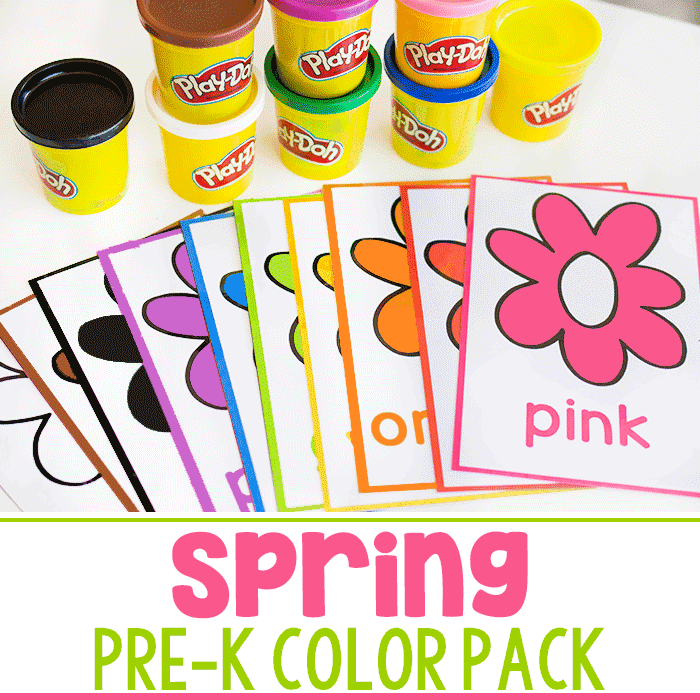 Anyway, these play dough mats are very simple to prepare. Just print and laminate. If you don’t want to laminate, you can slide them into a page protector and they will work that way too. 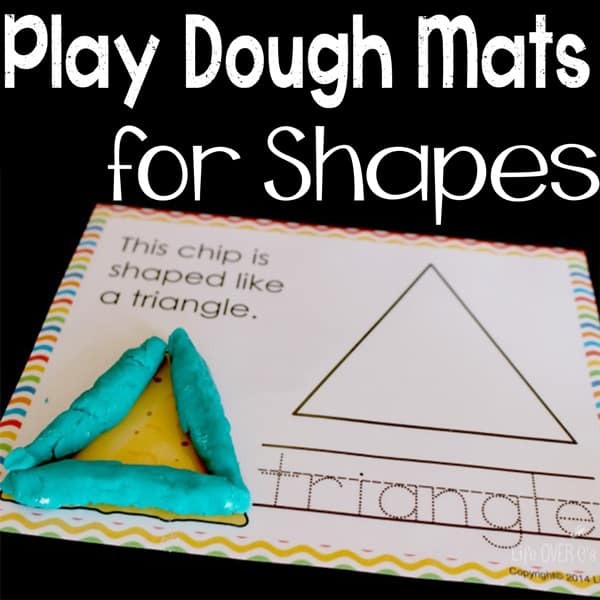 The play dough mats are great for building fine-motor skills while the child rolls out the dough to trace around the shapes. 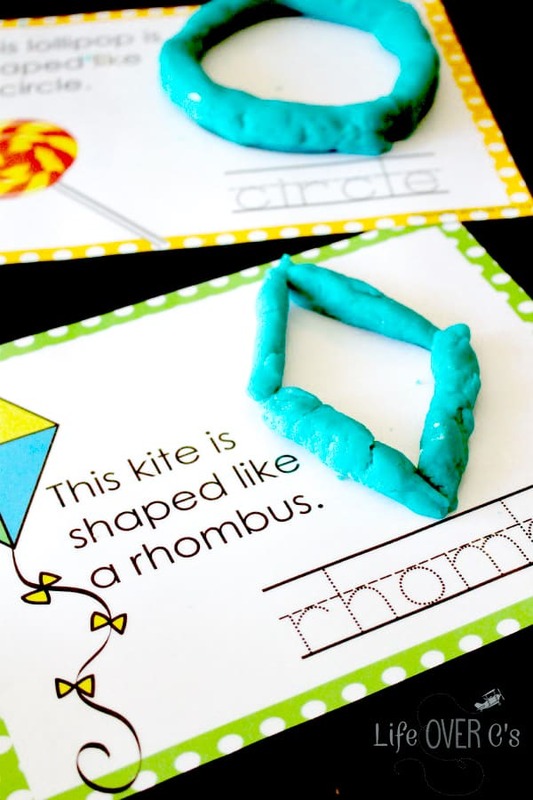 You can also have them fill the shape with a chunk of play dough for a different type of exercise. 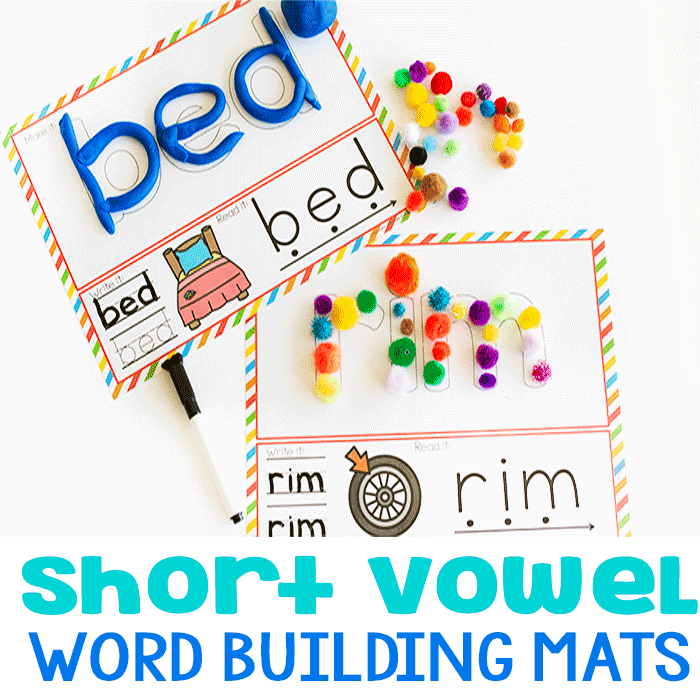 When the child is ready for writing, there are two versions of the play dough mats included. One with traditional printing and one with D’Nealien print for those that prefer to teach that style. 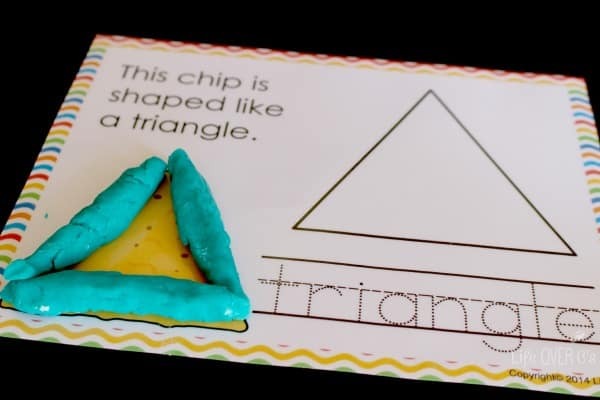 They can use a dry erase crayon to trace the name of the shape to add a little bit of handwriting practice to this fun play dough activity. 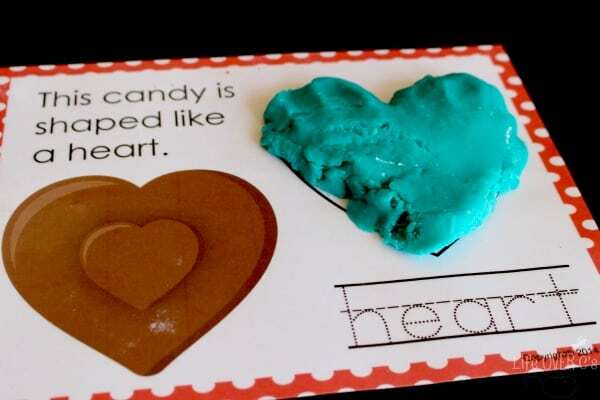 Extend the activity by trying out different textures of play dough for a whole new experience each time. Thanks! 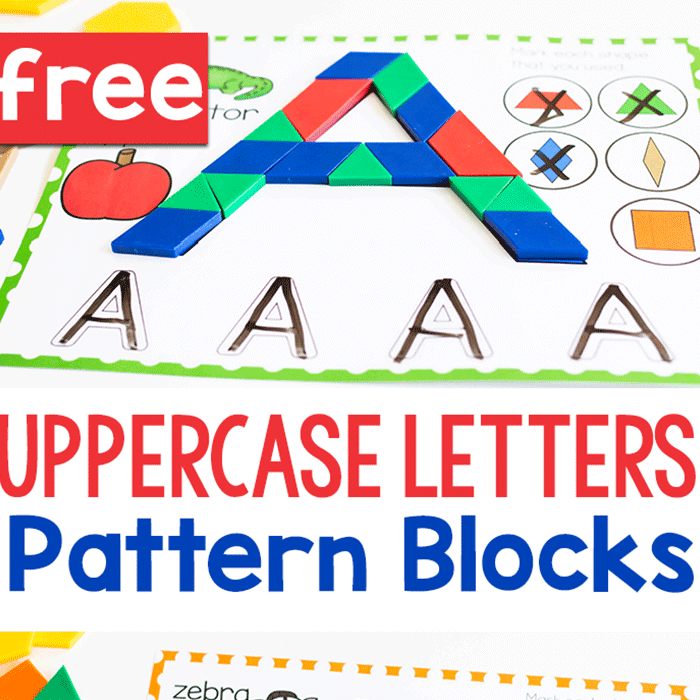 These are fantastic and I know the kids are going to love them! You’re welcome! I’m glad you like them!! Thank you so much for all the resources you produce. They are amazing ? The play dough mats are AMAZING ? thank you so much ?